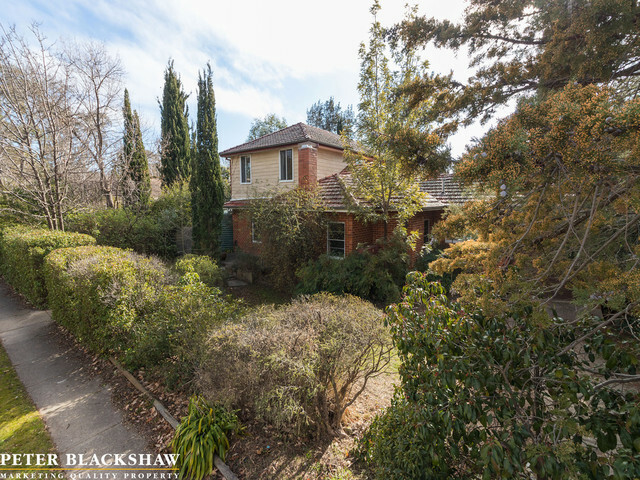 Family home: 12 Faunce Crescent, O’Connor is leafy retreat close to some of Canberra’s best assets. Photos: Supplied. Only three families have occupied this large home on a big block in O’Connor over the course of its almost 70-year history, and it’s not hard to see why. 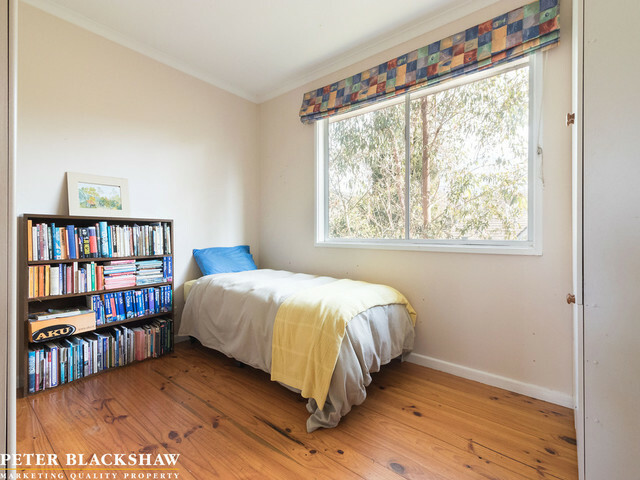 Close to Civic and the Australian National University, yet enjoying the bush benefits of also being near O’Connor Ridge and Black Mountain Nature Reserve, 12 Faunce Crescent is a quiet, leafy retreat with easy access to some of Canberra’s best assets. 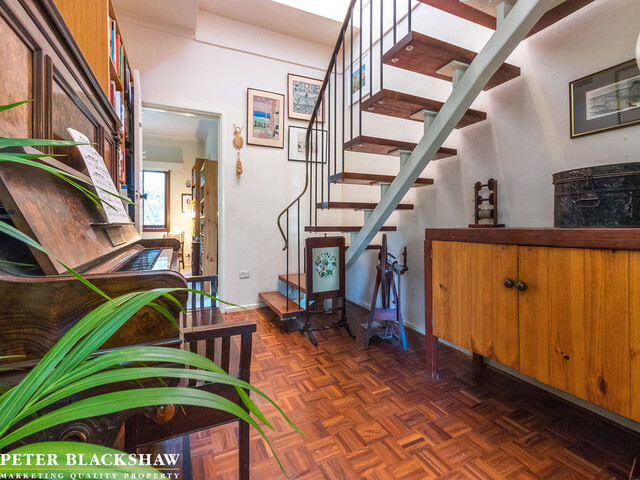 It has undergone various extensions during its time according to the needs of the owners, and now boasts six bedrooms and three bathrooms, and awaits another large family or even a multi-generational arrangement to make it their home. 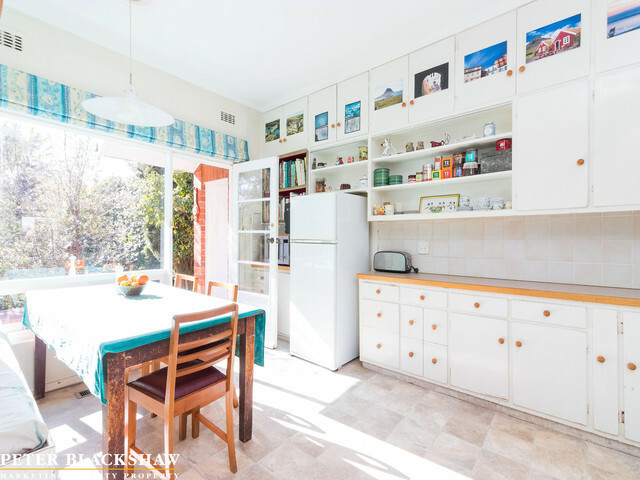 Agent Tony Trpeski from Peter Blackshaw Inner City and North, said the house was built in 1949, for a CSIRO family who added a large country kitchen with a picture window on the garden, a master bedroom with ensuite, and a brick garage with high ceiling and windows, which could be converted into a studio or workshop. “In the 1970s, a family with five children bought the house and added the stunning wooden staircase up to a Cape Cod extension with four extra bedrooms, a study and a bathroom,” he said. 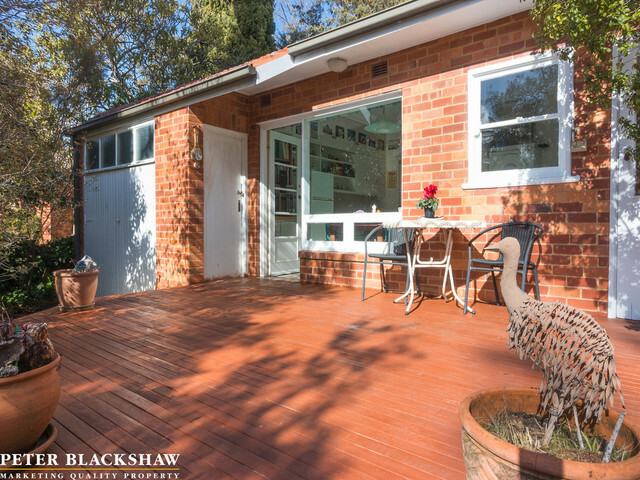 The present ANU family has added the deck and updated the plumbing and underfloor heating. 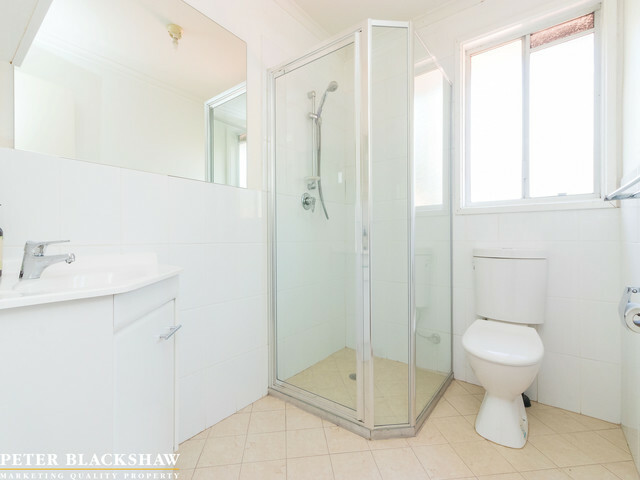 Mr Trpeski said a large family, particularly one with teenagers needing space, would enjoy the upstairs area, which has a bathroom, with two more downstairs, including the ensuite. 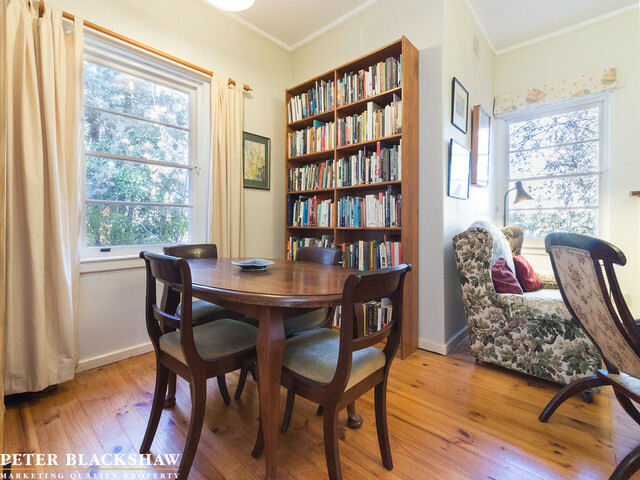 There are three main living areas – a sitting room with dining nook, dining and the large country-inspired kitchen looking out to the deck and garden, and a snug. 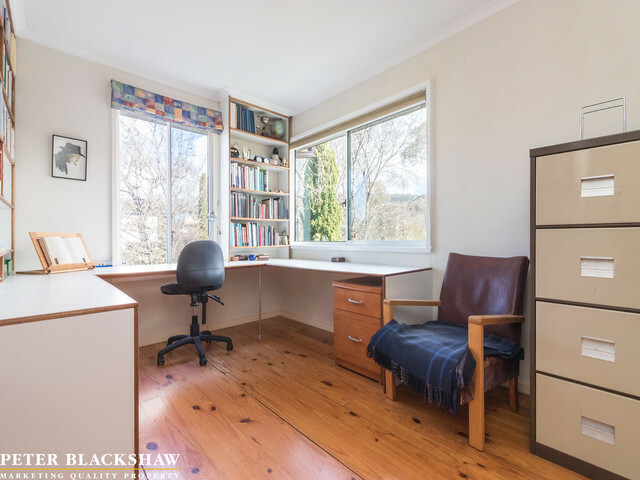 There is also an upstairs study. “It is easy to find different sound spaces in the house. It could suit a blended family, or a multi-generational family unit. The present owners had two children and lots of visitors – and the space works well for that,” he said. 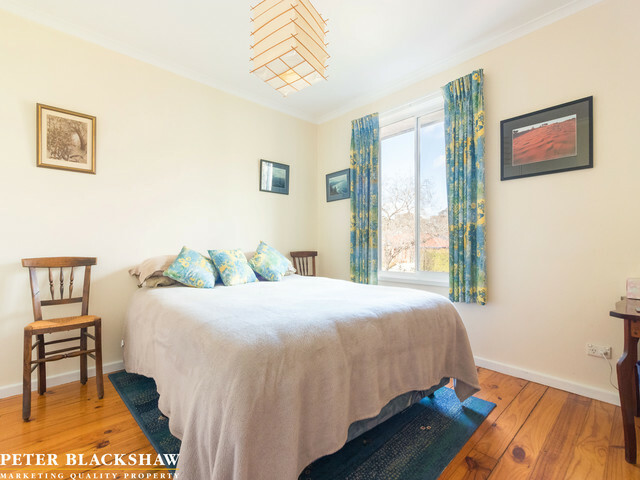 As well as garden outlooks from most spaces, the upper storey features views of Mt Ainslie, Mt Majura and sunsets on Black Mountain. New Brivis underfloor gas central heating ensures the property stays warm during the cooler months, while the kitchen has a Miele stovetop, oven and dishwasher. The location, on the edge of Turner, is ideal for the active family and those wanting a great education for their children. “It is walking distance to ANU and CSIRO, and in the catchment for all the inner north schools, including Lyneham High School with its famous music program,” Mr Trpeski said. Not to mention the restaurants of Braddon, the developing precincts of Northbourne Avenue and light rail. 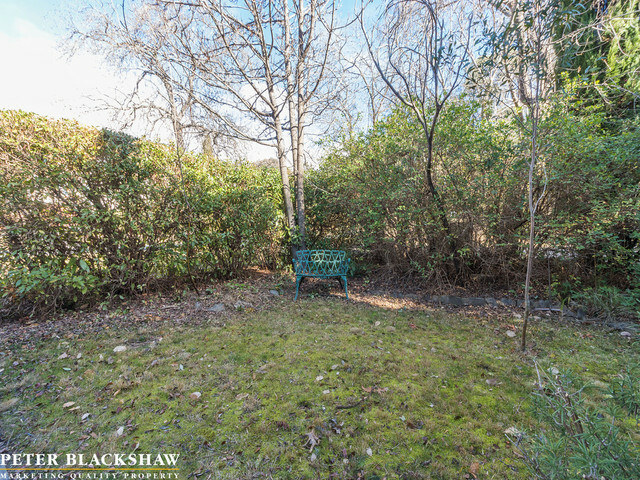 The east-facing deck is large and sunny in winter, with good shade in summer, and the bird-filled garden is easy to maintain, including a large water tank for the dry times. The tank water is also plumbed into the house for toilets and the washing machine. The solid brick garage includes a built-in work-bench, high vaulted ceilings and is spacious enough for a studio/workshop with access from the front and the rear. 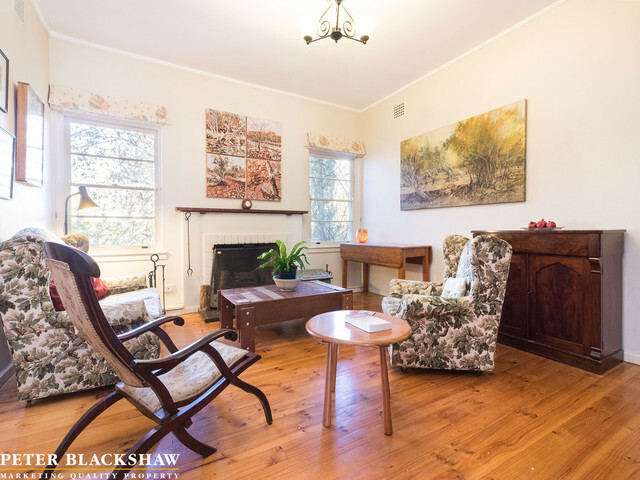 The property offers 245 square metres of living on an 883 square metre block and, as Mr Trpeski says, presents a rare opportunity to buy into the heart of the bush capital. It will go to auction on 8 September with a price expectation of $1.3 million plus. For more information, contact Tony Trpeski on 0413 168 773 or go here.